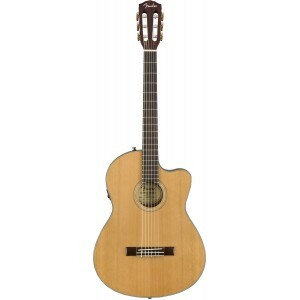 Whether you're primarily a steel-string player looking for a comfortable classical, or you're looking for an affordable nylon-string guitar that is easy to get around on, the Fender CN-140SCE fits the bill. 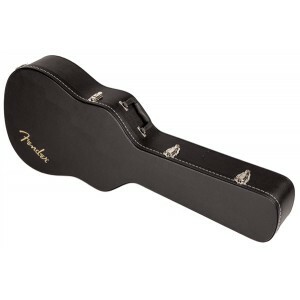 Its thinline construction and narrow nut width are ideal for both live performance and playing for your own enjoyment. 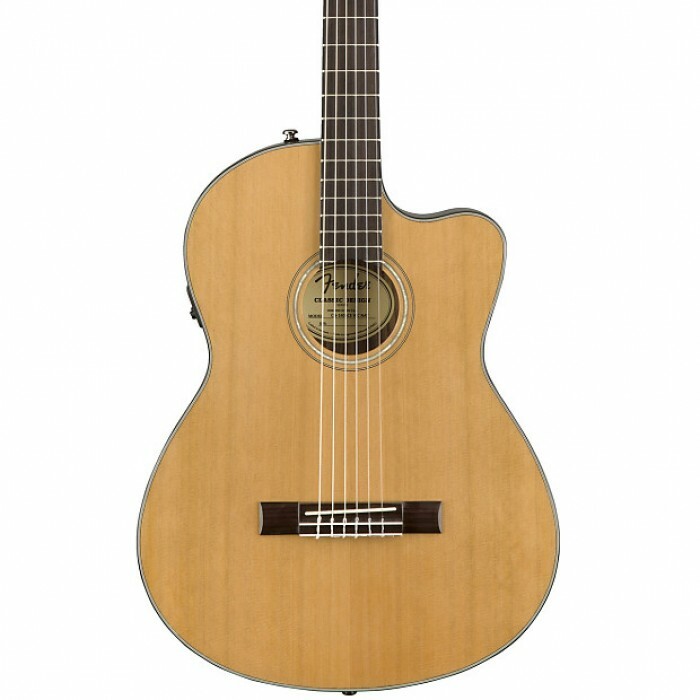 The natural projection of its solid cedar top is warm and detailed, with a natural compression that makes every note pop. And to help capture that sound live, Fishman electronics are built in. The CN-140SCE is a great choice if you want the classical-guitar sound with a steel-string feel. 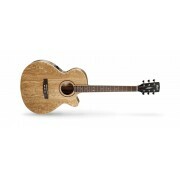 The Fender CN-140SCE Thinline features a solid cedar top — a favorite among classical players — for excellent projection and rich, complex harmonics and overtones. 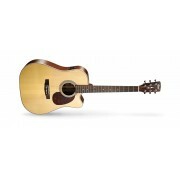 And to maximize the tone of this beautiful top, the CN-140SCE Thinline utilizes traditional fan bracing construction. 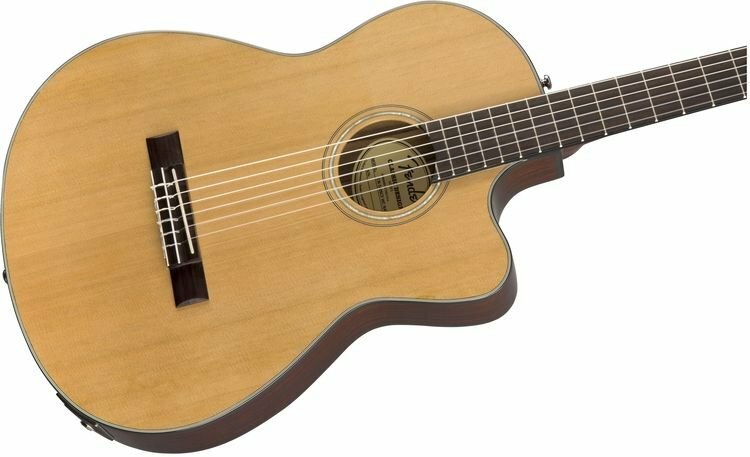 You'll love how this guitar responds to dynamic playing. 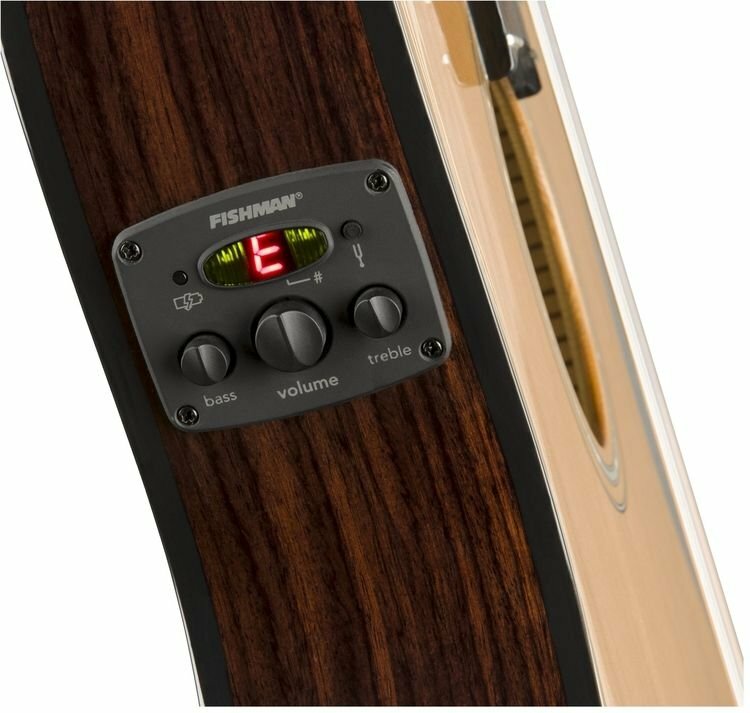 The CN-140SCE Thinline's shallow body style doesn't just make it easier for electric players to adjust to; it's a big convenience onstage too. 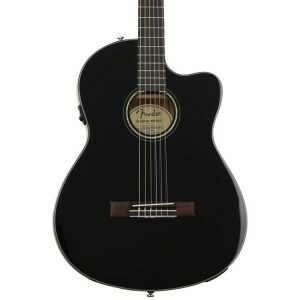 It's also less prone to the feedback that can be a problem with some oversized acoustic instruments. And for casual playing around the house, it's extremely comfortable to play. 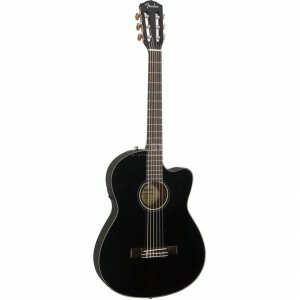 Add in the narrow nut width, similar to that on a steel-string acoustic, and the CN-140SCE will feel familiar in your hands. 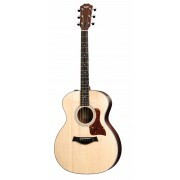 You'll find a Fishman electronics system ready to go on the CN-140SCE Thinline. This system provides impeccable tone in addition to a 2-band EQ for final sound shaping. 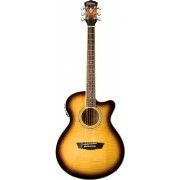 And the onboard tuner ensures your Fender CN-140SCE nylon-string acoustic-electric guitar is ready to perform.